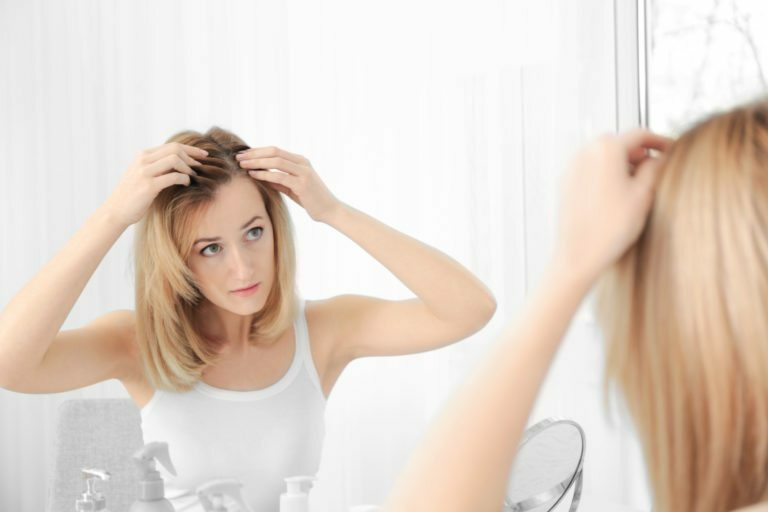 Hair loss can be an emotionally difficult condition for both men and women. There are many causes of hair loss. Most commonly it can be genetic, age-related hair loss. Both men and women tend to lose hair thickness and amount of hair as they age. Inherited or “pattern baldness” affects many more men than women. About 25% of men begin to bald by the time they are 30 years old, and about two-thirds are either bald or have a balding pattern by age 60. Other causes of hair loss are stress, illness, trauma, medication-related, and autoimmune. Alopecia areata is a very common autoimmune disorder causing patches of hair loss. With the correct diagnosis, many people with hair loss can be helped. Hair loss is typically treated with topical medications such as minoxidil and/or oral medications such as finasteride (Propecia). Alopecia Areata is treated with injections or topical steroids. With correct diagnosis and treatment, many patients will experience improvement in their hair loss. With some types of hair loss, hair transplantation may be helpful.